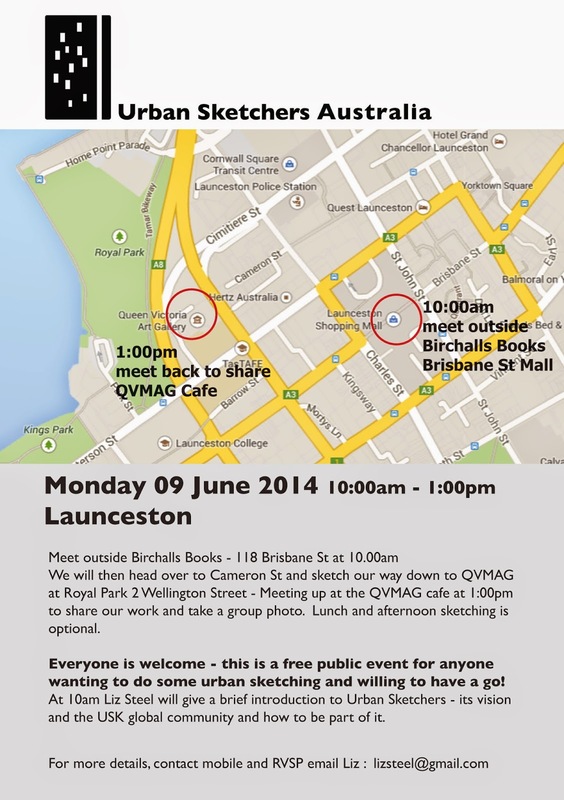 I am very pleased to announce details of our upcoming Urban Sketchers event in Launceston- Monday (Public Holiday) 09 June at 10.00am meeting outside Birchalls Books, heading down Cameron St and meeting back at QVMAG Royal Park Cafe - everyone welcome! 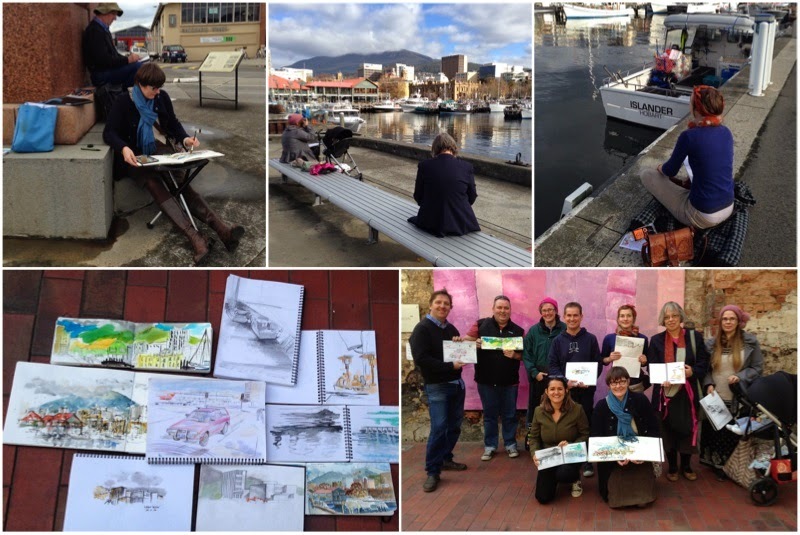 Also today we had a stunning morning of sketching at Hobart’s first Urban Sketchers meeting. Will do a full report when I get home but here are some photos from the day.